These drop rods are for use with the Henley Zephyr fans. Drop rods are often called extension or down rods. 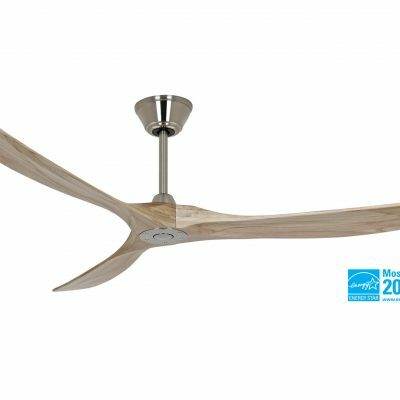 They are important as they bring the ceiling fan down to the correct height for the correct and most efficient operation which is about a meter above head height. These drop rods are for use with the Henley Zephyr fans. Drop rods are often called extension or down rods. They are important as they bring the ceiling fan down to the correct height for the correct and most efficient operation which is about a meter above head height. The length of the drop rod will be determined by the ceiling height and the drop of the fan. If your ceiling is above 2.8m/9.2 ft then the length of drop rod that needs to be added will be whatever is needed to keep the fan at a 2.8m/9.2 ft height. If the fan blades are properly balanced then there should be no wobble even with a long drop rod.